Fresh Mozzarella | Kelly and her cat. Super easy and delicious caprese with Pesto! 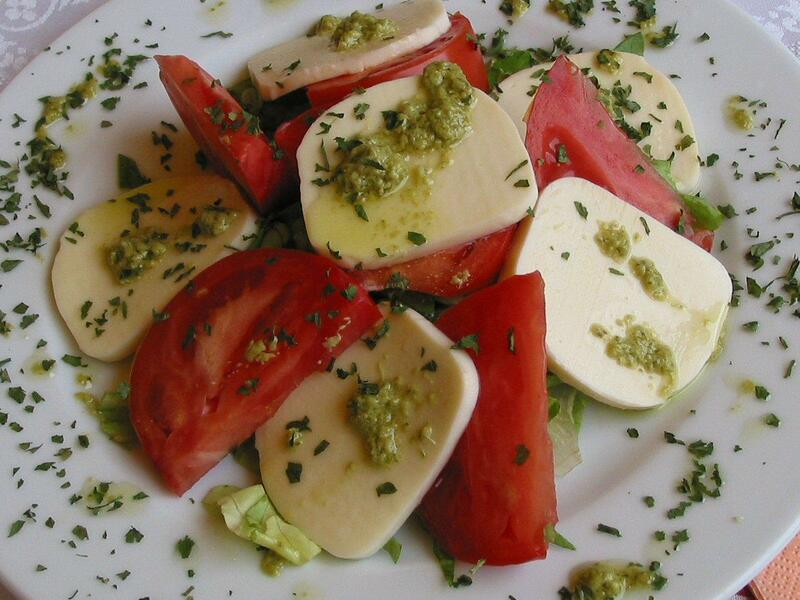 Cut the fresh mozzarella and roma tomatoes into whatever shape floats your boat that day! Coat in pesto and plate or kabob.